Wine Country Margarita (a.k.a. 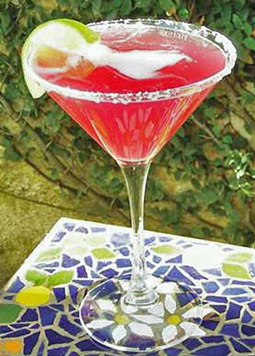 Pinot-rita) - A recipe from Savor California, the online showcase for extraordinary gourmet foods and beverages from California. Combine ice, tequila, margarita mix and Pinot Noir soda in a cocktail shaker. Shake very well and pour into a salt-rimmed martini glass. Garnish with lime wedge.